Melanie starts Etsy Holiday Boot Camp with some goals and promises. Carmi has a blog post featuring a resin disaster. Jean goes back through the mists of time and fondly recalls a favorite bracelet she made using components from two favorite websites! Handcrafted jewelry and autumn looks for 2011 are just perfect together. Charlene shows how. Lisa's got a quick tip for bead lovers! If a fabulous wholesale bead show comes to your city, don't miss it! My, oh my, what is your favorite type of mother-of-pearl, natural, colored, bleached, all of the above? We are all ready for Fall at Art Bead Scene! Check out the bounty of Autumn beady goodies we found from art bead makers on Etsy. Cindy shares what she made with Cat's lovely etched copper heart. I love these blog round ups which I usually receive at the end of the week or over the weekend. There's always so much to do and I subscribe to all the social media sites to catch up, but I am amazed at how much I've missed when I review the round-ups! 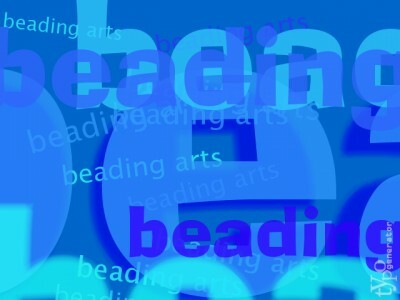 The information and blog posts about beads, beading and jewelry are what I really appreciate...thanks so much for sharing!